Beard and tashe lovers rejoice. Here comes a celebration of Manchester’s finest facial fuzz. All in aid of a great cause Lifeshare, who work with the homeless and disadvantaged in Manchester and Salford. Beards of Manchester is looking for the best specimens in the city to come forward for charity. To feature in a 2011 calendar that will be launched on October 21st at Common, where all the profits will go to charity. So bristly beauties submit a photo of yourself to info@beardsofmanchester.com before 24th September – full submission details here. The top 12 will then be photographed by Gill Moore. The result being a tickly treat for every month of next year. 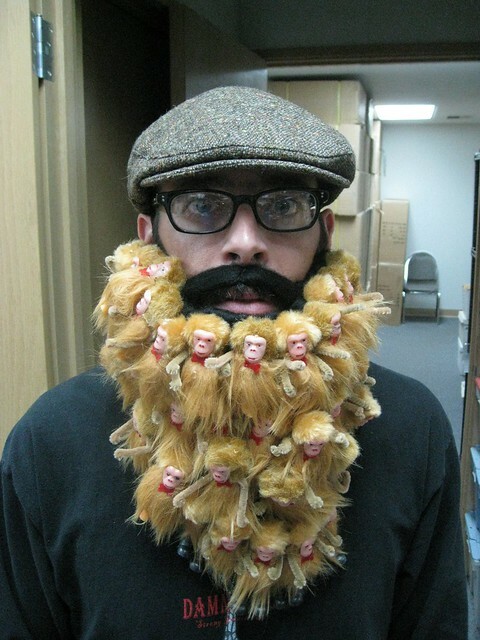 To keep a whisker ahead of the crowd follow all the latest news @beardsofmanchester. c/o x licensed under Creative Commons. Great page – but is that real? It’s also for a homeless charity in London, Centerpoint. All the best with your fundraising campaign. Must say it has to be ‘The Devils’ for me.